Microsoft Dynamics 365 (Online) Plan 1 Business Application subscriptions provides 10GB of storage, and provides free additional 5GB for every 20 full users. There is no cap on the amount of free storage that may be earned, it is subject only to the technical limit of 5,000 GB (5 TB). Your storage is shared across all your production and sandbox Dynamics 365 Plan 1 Application instances (Dynamics 365 Operations storage is not shared and not counted toward above mentioned 10GB or additional storage). For more information, please refer to Licensing Guides below. When the storage is approaching the maximum limit (for example at 80%), Microsoft notifies the Office 365 Administrators. 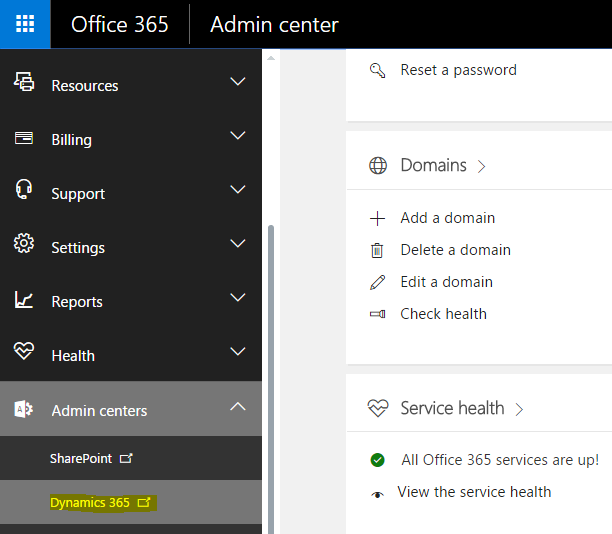 In this article, I would like to discuss some tips in managing Dynamics 365 (Online) storage. You can check your current storage level from Office 365 Admin portal. Auditing is a great feature of Dynamics 365 to keep track of the history of records. Auditing can be enabled or disabled entity level. If you have too many entities with auditing enabled, the Audit table can grow rapidly. It is a good idea to turn on auditing only for the essential entities. 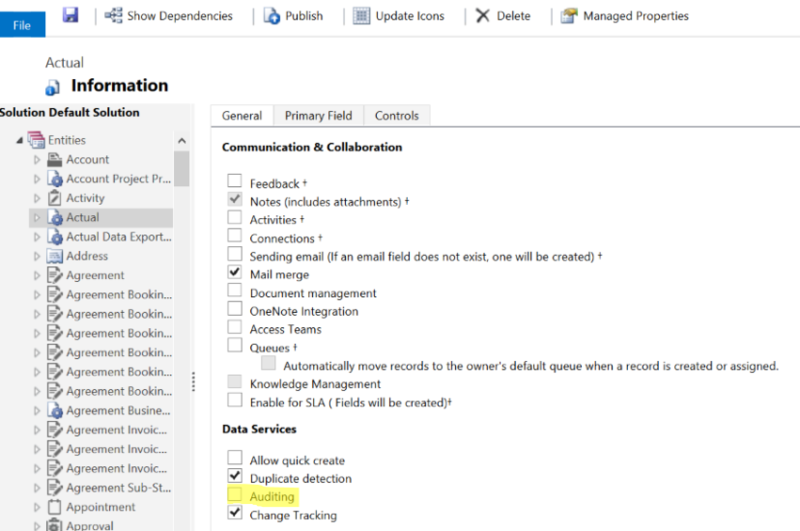 You probably should turn off Auditing for all entities in all non-production Dynamics 365 instances. Note: You may loose change history data when you disabling auditing. Your legacy systems may have millions of records and it is tempting to migrate everything. “What if we may need the data from 10 years ago?” you might think. But have the courage to only migrate what you really need. For example, you may not need Contacts and Accounts which are not active for more than 2 years. You may not need Invoices older than 1 year. Each organisations needs are different. Do an analysis of your legacy data and make a decision on what’s in and what’s out. If your storage is already filling up and reaching the maximum limits, then it’s time to do some clean up. Microsoft has suggested, 10 methods to clean up your system. For more detailed information, see below article. 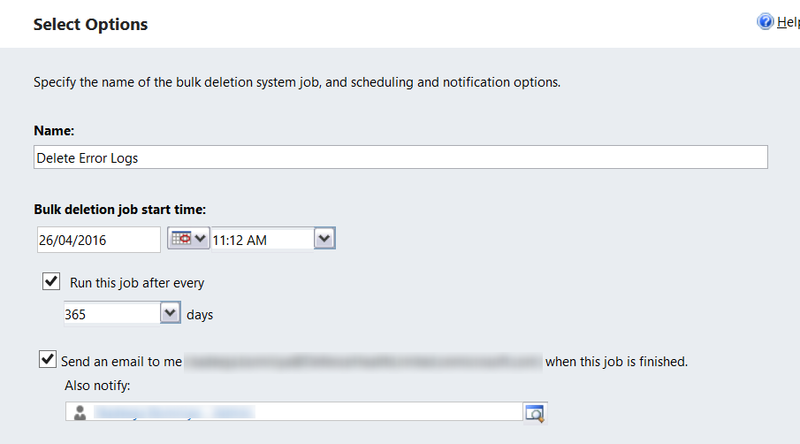 You can configure bulk delete jobs to clean up data you don’t need after a certain period of time. Discuss with your stakeholders to decide how long a particular record needs to stay in the system. Use following steps to configure and schedule bulk deletion jobs. Microsoft’s Dynamics 365 (Online) support team can assist you with identifying which tables include most data, backup and restore databases, and many other administrative tasks. There are no additional charge for these services and covered as part of your Dynamics 365 (Online) subscription. Even after you have done all the above to try and reduce some space, you may still need more storage. The good news is you can purchase additional storage from Microsoft. Please see below article for more information. For most organisations, the default storage provided will be more than enough. 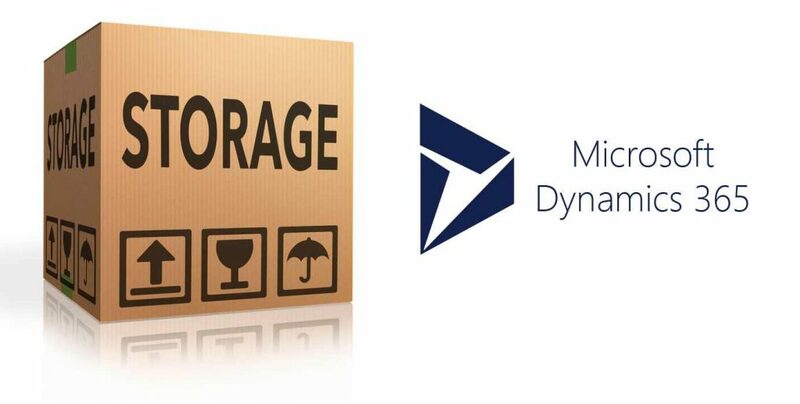 For others, it’s important monitor and manage the storage of Dynamics 365 (Online). By using Auditing effectively, cleaning up the system, scheduling bulk delete jobs, and migrating only recent records, you can make sure you have plenty of storage for years to come. Even then, if you run out of storage, you have the option to purchase more.